If it’s Friday, it must be France! Friday again! It seems to come around faster every week. Ok, I got so caught up in the excitement of the literary history on the Côte D’Azur last Friday that I didn’t get to the other two subjects in my title. So now it’s on to lavender! 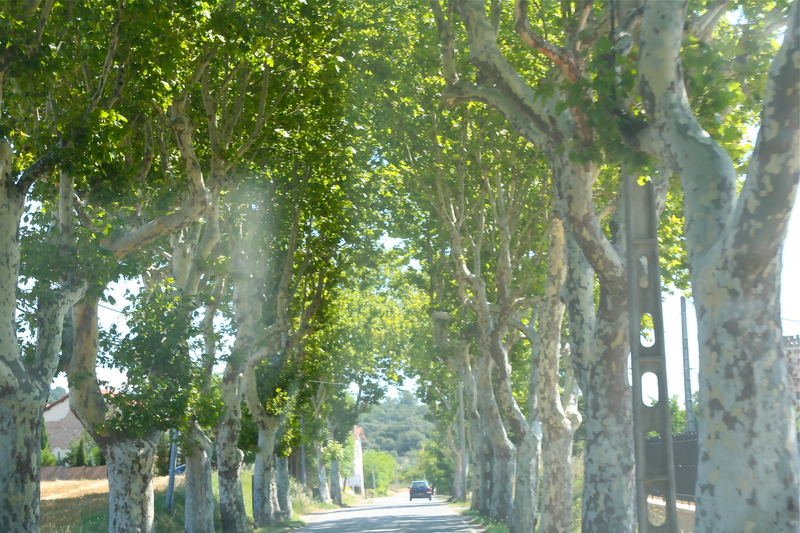 Last week we rented a car and drove 2-1/2 hours north to the Valensole area of Provence. We were a little late for the full lavender whammy as the harvest had begun the week before. However, as you can see from my photos, there were still many fields in bloom so we weren’t disappointed. But here’s my word of advice about that: if you want to see the incredibly beautiful effect of the lavender fields in their full glory, go the first week of July. When you open the car windows or step outside, to take way too many photos, the fragrance in the air is amazing! 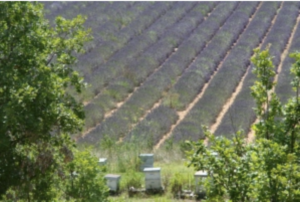 Of course when you have lavender, you have bees (they’re not interested in you, by the way) and many farms have apiaries to make their own lavender honey. 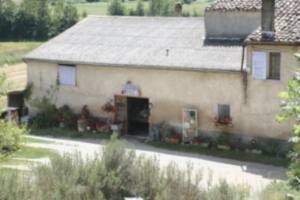 They also often craft their own soaps, candles, and dried lavender products. I have one word for lavender honey – DIVINE! When we popped into one small farm, they were just putting the fresh honey into jars and offered tastes with great pride. We stocked up! I have to admit I was never a big lavender fan, although I always loved the look of the plant, but after this experience I’ve become a convert. The true fragrance is so pure and sweet. 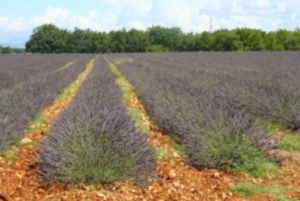 There are also the holistic and aromatherapy benefits to lavender which are many. I had a moment of wishing I still lived in a house with a garden so I could plant some myself. Maybe I’ll try a plant on my condo terrace next summer and see what happens. I did see lots of lavender in pots but suspect they had been there through many winters. Somehow I don’t think that will happen in Toronto! When you google lavender, there’s a ton of information. You will find some really interesting sites. I’m including a video here that gives excellent information about growing your own lavender. Take a look! Click here for the video which I couldn’t get to embed after a bizillion attempts! And now on to lunch! We drove to the beautiful (it’s hard to find other words for these places …) village of Moustieres-Ste.-Marie which we have visited on previous trips. In the past, we’ve had some fine meals at a small restaurant there and looked forward to another visit. Yikes! Not going to happen! There were tourists everywhere and the walk to the nearest available parking spot was better suited for a mountain goat. We drove straight through the village and tried to control our whining. Then, voila! Just a few minutes out of town we saw a most inviting sign and quickly pulled in to the Restaurant Ferme Ste.-Cecile. The setting was pastoral and the cuisine was “gastronomique”, specializing in local products and surprisingly reasonably priced. Between the main course and dessert, the chef sent out a serving of perfectly aged chèvre accompanied by a tiny bowl of lavender honey. Bonus! Don’t you love it when a disappointment turns into something unexpectedly wonderful? Are you a fan of lavender? Do you grow it in your garden? Have you tasted lavender honey? If you have any tips to share with readers about lavender or about your own travel surprises, please add a comment. It’s always so rewarding to receive them! Talk about a good story! The literary history along the south coast of France is tough to match. 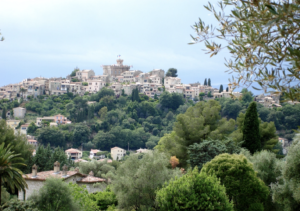 Poets and scribes from the Roman Empire told of the beauty of Antipolis, now Antibes. In later centuries writers began visiting the Riviera for the beauty, the sea, the solitude or the company of other writers, as far back as the Italian poet Dante Alighieri in the 13th century. Petrarch, John Milton and Michel Nostradamus were just some of the earlier men of letters who created their timeless works along this coast. Tobias Smollett penned what is considered the first “travel” book for this area in 1763. Nietsche found inspiration in the 1880’s for some of his work as he walked the ancient donkey and goat paths here (see my earlier post). In the 1920’s F. Scott Fitzgerald was among those writers who ushered the Jazz Age to the area. In the 1980’s, Graham Greene wrote J’Accuse, opening up investigations into organized crime and politics in the area. Most came for inspiration. Others came to seek the fabulous weather and local colour, to gamble, to escape taxes or social ostracism. 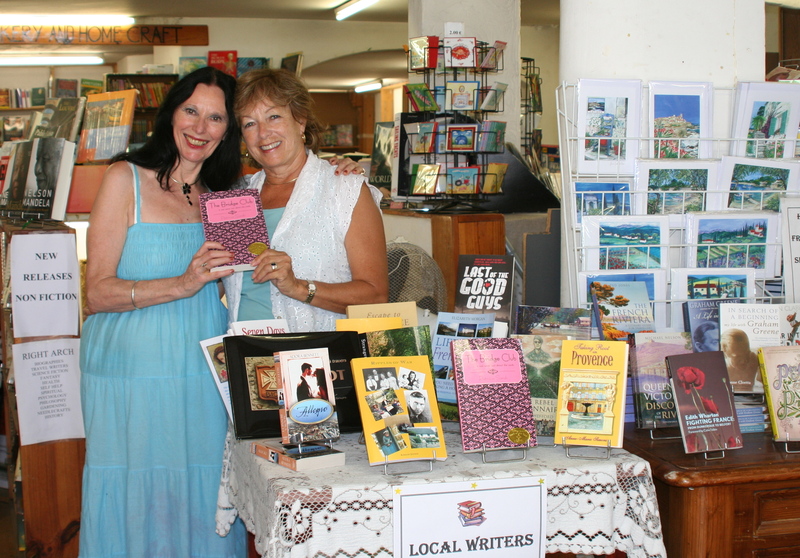 The trend continues as witnessed by the “Local Authors” table in Heidi’s English Bookshop from my post last Friday. 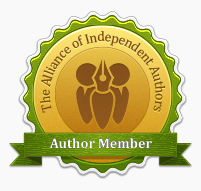 I’ve already had the pleasure of meeting one of the writers in that group, Patty Knight from Boston. 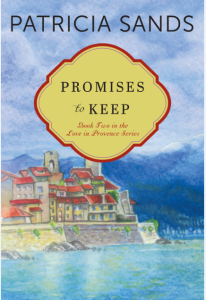 She writes under the pen name of Adora Bennett for Genesis Press and comes to Antibes for inspiration whenever it’s possible. I’m looking forward to meeting many of the others. Whether a writer with an established name or a fresh voice on the scene, the search for inspiration here is never ending. Named for one of Antibes’ most revered sons , the Prix Jacques Audiberti de la Ville d’Antibes, worth 50,000 francs to the laureate, honours a writer with a special interest in the Mediterranean. Ted Jones, a British freelance writer, who lives in the south of France has written The French Riviera: A Literary Guide for Travellers. It’s an informed and entertaining book covering writers from Graham Greene and W. Somerset Maugham who lived here, to those writers whose work this area dominates, such as F. Scott Fitzgerald and Guy de Maupassant, to those who simply lingered there. His comprehensive work covers them all, including: Louisa M. Alcott, Hans Christian Andersen, J.G. Ballard, Simone de Beauvoir, Bertholt Brecht, Albert Camus, Casanova, Bruce Chatwin, Joseph Conrad, Charles Dickens, Vladimir Nabakov, T.S. 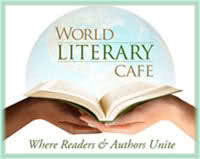 Eliot, Andre Gide, Ernest Hemingway, Gertrude Stein, Virginia Woolf, Victor Hugo, James Joyce,and countless others. Not only do you get the buzz on the authors and how they lived and were inspired here, it’s also an excellent travel guide to the area. 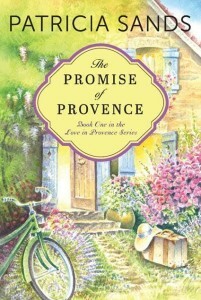 To experience the literary Riviera read what Ted Jones has to say and then go back to the books of these great authors. We’ve rented a car for the day so better hit the road … so many places, so little time. I’ll save the Lunch and Lavender parts for next Friday. What inspires you? 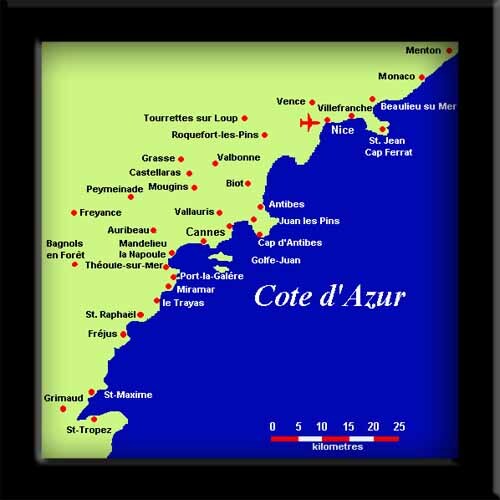 Have you read many novels set on the Côte D’Azur? If you have a favourite, I would love to hear about it! Everything you could wish for in a bookstore! 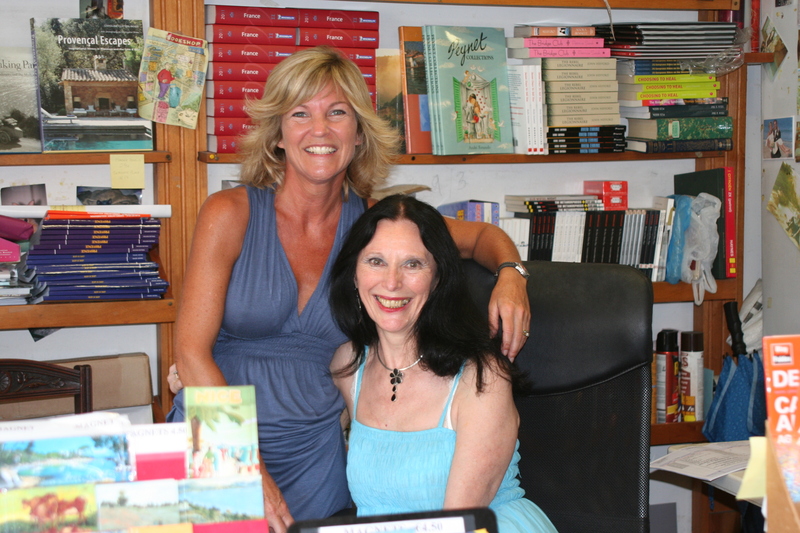 Heidi’s English Bookshop, located in my home away from home this summer, Antibes, France, has been a mainstay here for 21 years. 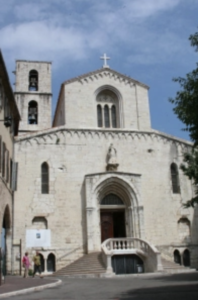 It can’t claim to be built upon Roman ruins as can many other buildings in the town, but it most definitely can claim to offer the largest selection of English-language books on the French Riviera. Even so, the property has quite a history. The foundations in the cellar have been traced to medieval times and were part of the original fortifications erected to protect the village during that period. The vaults were used to store munitions and armaments during the Napoleonic Wars of the late 1700’s and early 1800’s. 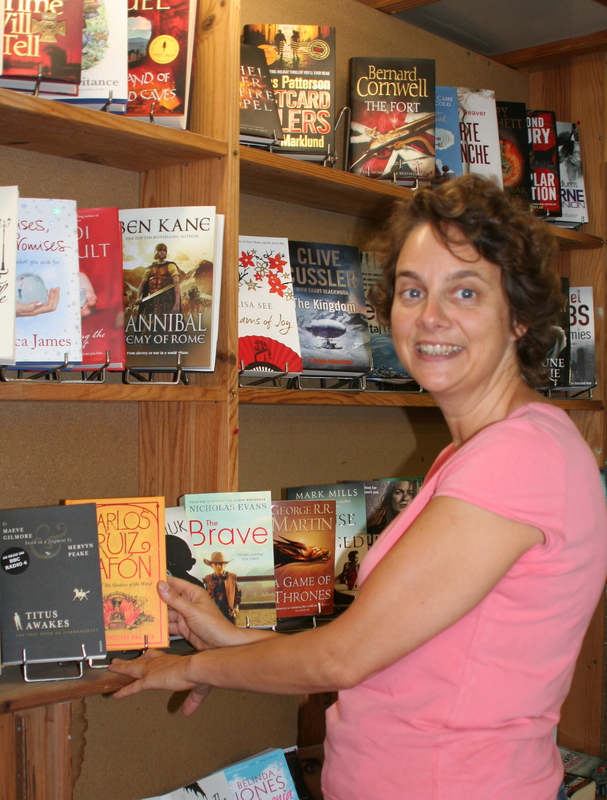 The building itself has been a green grocer’s, a wine store, as well as an antique shop, and, since 1992, its walls have been lined with hand-built bookshelves that are filled to overflowing with an amazing selection of literature, new and used. An inventory of 15,000 titles is standard and any English-language book in print can be ordered, accompanied by a smile at all times. The owner Heidi Lee, a former actress and an author, arrived here 26 years ago via England and Australia and has never looked back. 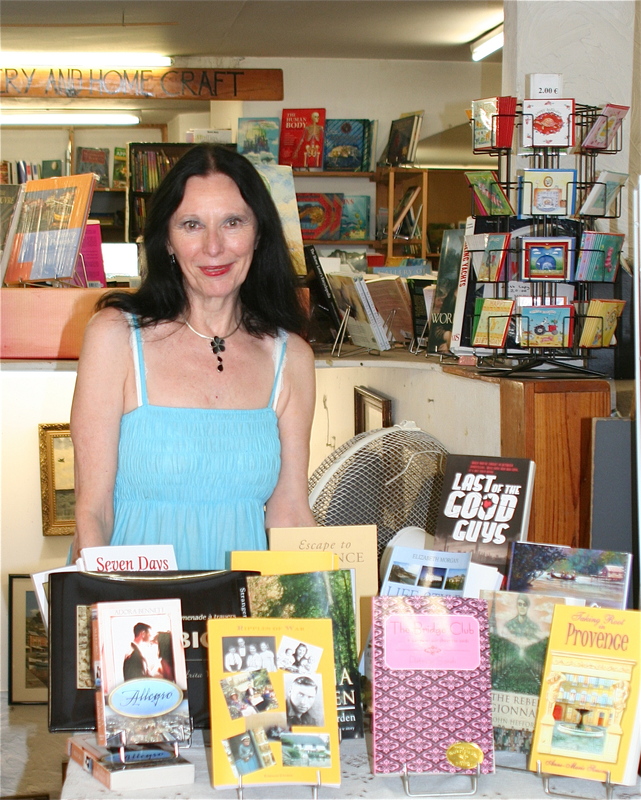 The “book business” is not easy and to keep an independent bookstore running successfully for so long is most admirable. 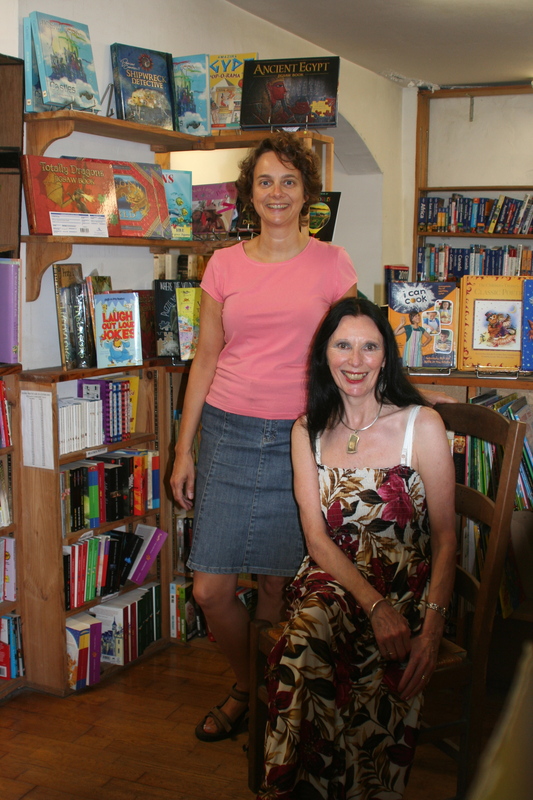 Ably assisted by Suzie Dean and Louise Vaughan-Arbuckle, the shop is warm and welcoming from the moment you enter. 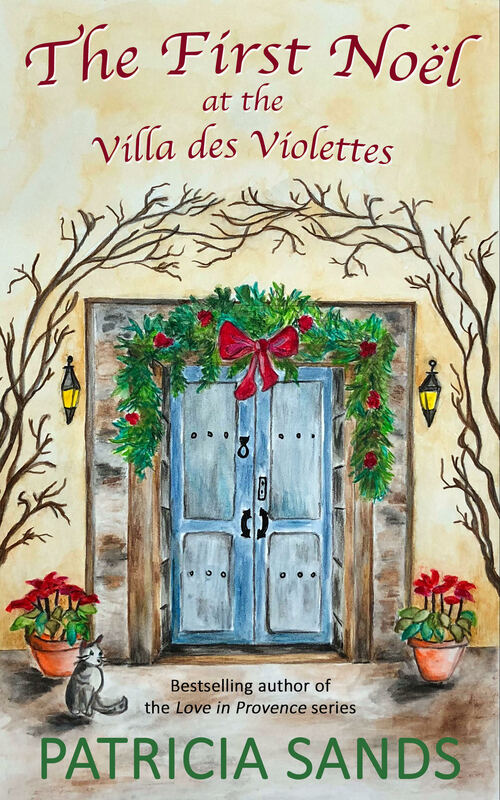 The door is always open unless a winter’s mistral is blowing through. Open 364 days a year, Suzie’s adorable Norwich Terrier, Tiggy, acts as the “official greeter” when on duty. 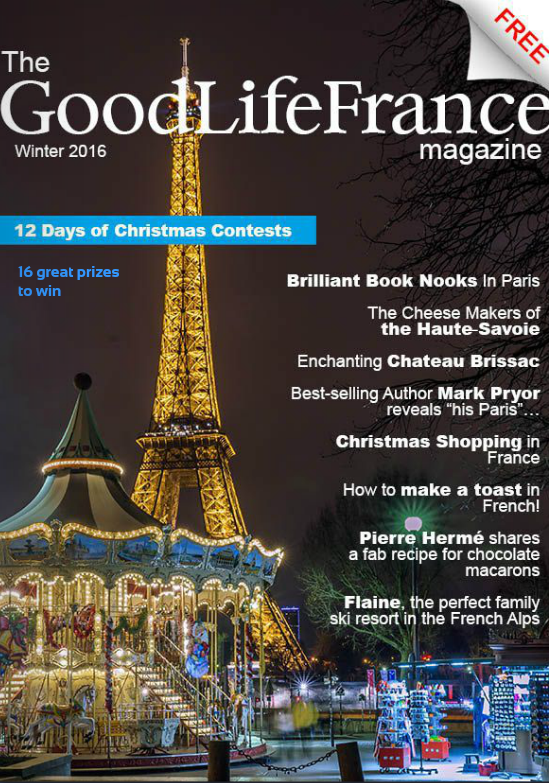 Along with the most recent modern fiction, there are large sections for Provencal guide books, Cookery, Craft, New Age, Travel and Language books. 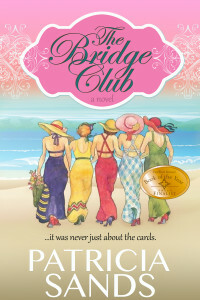 I was delighted when Heidi agreed to stock some copies of The Bridge Club in the store and was even more honoured when she included it in a special display of “local authors”. I wish! Literature by all of these authors is of course available from Heidi’s English Bookshop. Browsing is encouraged. There are no questions either Heidi, Susan, or Louise can’t answer, even if they have to do some investigation and get back to you. Thank you and merci bien to Heidi, Suzie, & Louise for the warm welcome to their community. It’s such a pleasure getting to know you. Where is your favourite bookshop? Is it at home or in some exotic location like Heidi’s? 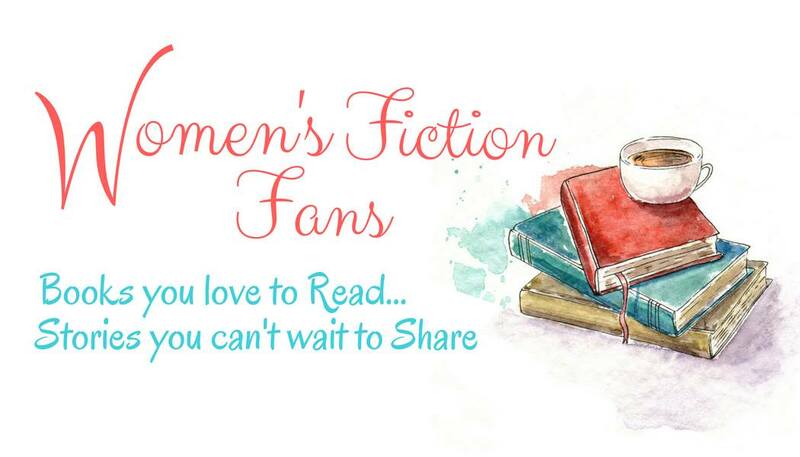 I would love to hear about it and share the info with other readers! Friday already? Then it must be France on my blog! Like to hike? From serious hiking to a pleasant ramble through an astonishing variety of landscapes, France is a country amazingly well-equipped. There are over 100,000 kilometres of walking trails criss-crossing the country in all directions. It’s like a national sport! Click here to go to an excellent website with maps and more detailed information. 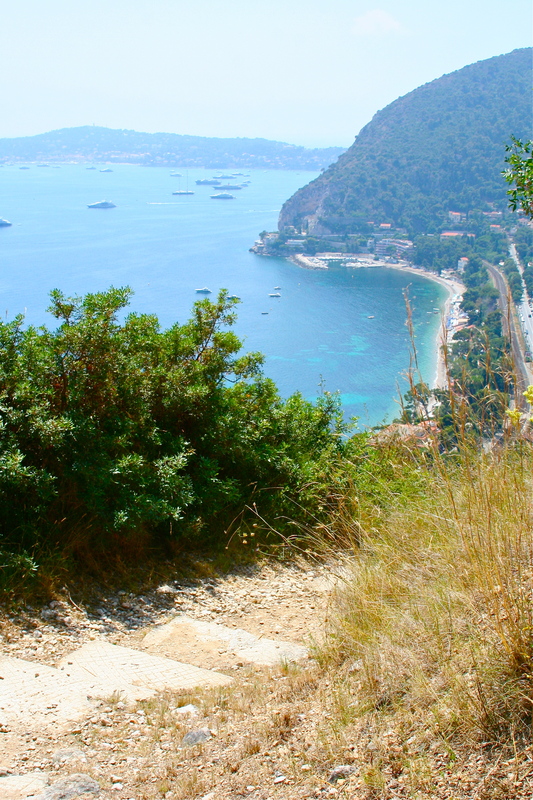 A picturesque 40-minute drive east from Antibes, Eze Bord de Mer (also known as Eze Sur Mer) is one of the most accessible places on the Cote D’Azur as the rail, road and bus links all run along its length. They create a dividing line between the mountains and the sea. The thin strip of pebble beach provides just enough room for a few seaside restaurants on the turquoise edge of the Mediterranean. Typically the small town consists of everything from simple cottages to exclusive villas. Approximately 500 metres (1400 feet) up the rugged corniche is the fortified perched village of Eze. With a history going back to 2000 BC, the current village dates to the 9th C. The stone structures and winding cobbled streets are well restored, with high walls and narrow paths. Today the town is full of small art galleries and boutiques and a couple of luxurious hotels as its setting, charm and ancient history make it a popular tourist destination. (But go early in the morning and you can have it to yourself. 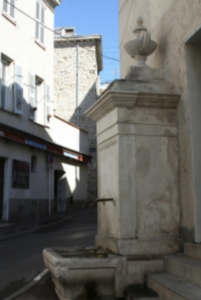 )The ancient alleyways wend their way upward to the well sign-posted Jardin Exotique Panorama. 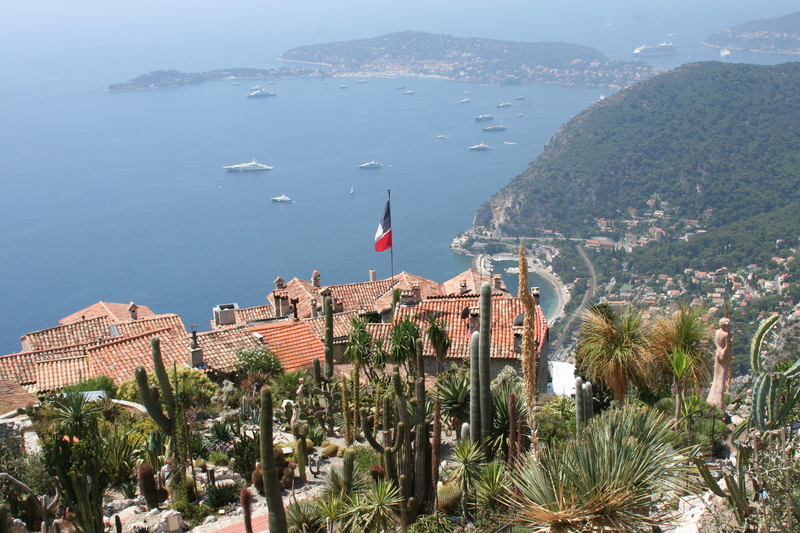 The plantings of cacti are spectacular and the view is one of the best on the Cote D’Azur, overlooking Cap Ferrat and on to Nice and Cap D’Antibes on a clear day. These two communities encapsulate the best of both coastal and mountain worlds. Whether visiting the seaside part or the heart of the old town on the cliff, Eze offers a rich culture mixed with local traditions and a luxurious lifestyle. The magical and unique ambiance of the town has an unforgettable appeal. But perhaps no one was more charmed by Eze than the tormented and controversial philosopher, Friedrich Nietzsche. Though he spent only a short holiday in the area in the 1880’s, the environment had a profound tonic effect on the famously troubled philosopher. “I slept well, I laughed a lot, and I found a marvellous vigour and patience”, he later recalled. He also found the inspiration for the third part of Thus Spoke Zarathustra, much of which was composed in his head (so the story goes) while hiking the steep trail from the seaside to the medieval village. 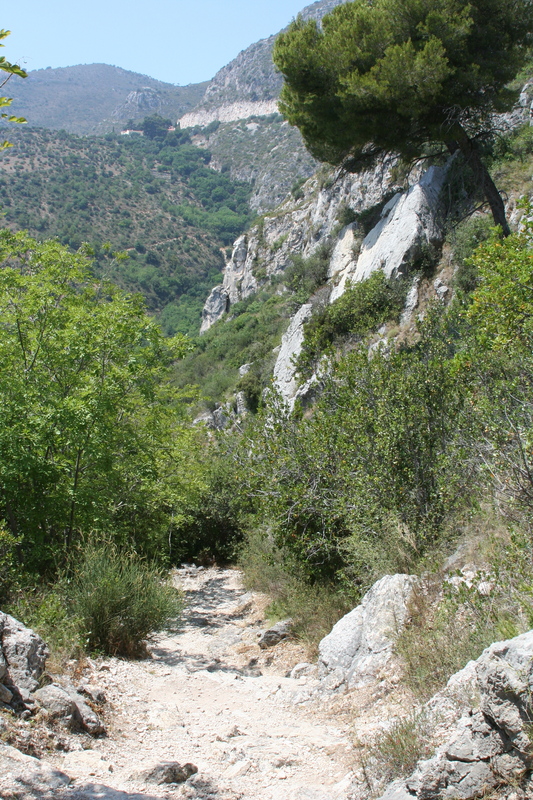 The route, once a goat path, is now known officially as Le Chemin de Nietzsche or Nietzsche’s Path. With my sister-in-law visiting us from her home in the south of Spain and our 28-year-old niece from Israel, I was eager to show them this beautiful area. Especially these two wonderful women who are always up for any adventure and turn everything into a laughter-filled event! We took the train from Antibes to Villefranche Sur Mer and had a quick look around yet another beautiful town before catching the bus up to Eze Village. After walking around the town and taking photos at the castle ruin and the Jardin Exotique, we lunched on crepes and salad and then, water bottles filled, we headed down the Nietzsche Trail. We talked. We laughed. We sweated. The sun was scorching but we were well armed with heavy-duty sun block, hats, and mist-spray water bottles (LOVE these!) as well as our drinking bottles. Winding down the corniche and through a forested ravine, the quiet trail lends itself naturally to contemplation. Birds chirped. Leaves rustled when gentle breezes made brief, welcome appearances. The gravel path crunched below our feet as the brightest yellow butterflies fluttered along with us. The sea washed the shore below, beyond the scent of pines and the many varieties of fragrant shrubs and plants that naturally fill these spaces. The clean, fresh air offered its own special brand of aromatherapy. The path isn’t difficult but it’s not easy either. There are places where stairs have been built by France’s impressive sentier (walking trail) maintenance crews or possibly by local groups who take a keen interest in maintaining their trails. However there are also a few steep pitches and some spots where the stones or gravel are a bit loose and slippery if one isn’t careful. Faites attention! 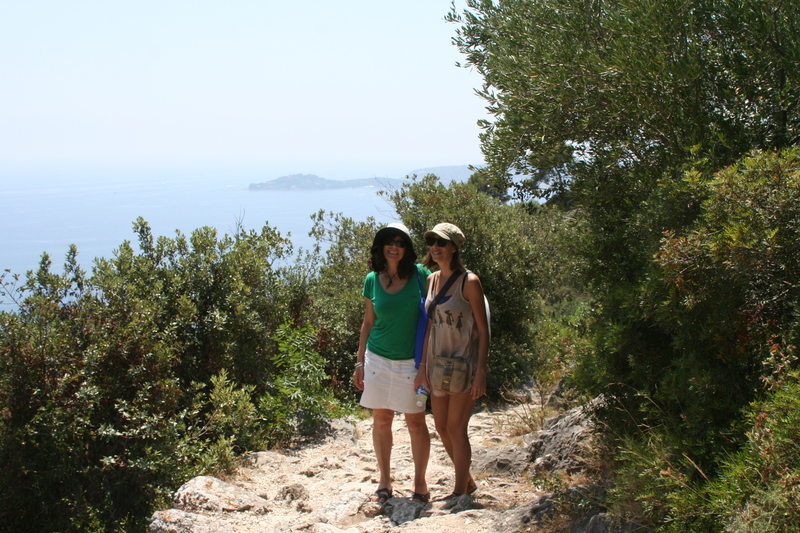 It’s a quicker climb down than up, needless to say, and in 90 minutes, after a few brief stops to admire the changing views, we were back down in Eze Bord de Mer. We cooled our feet in the Med and savoured a refreshingly cold brew on the beach before taking the train home. 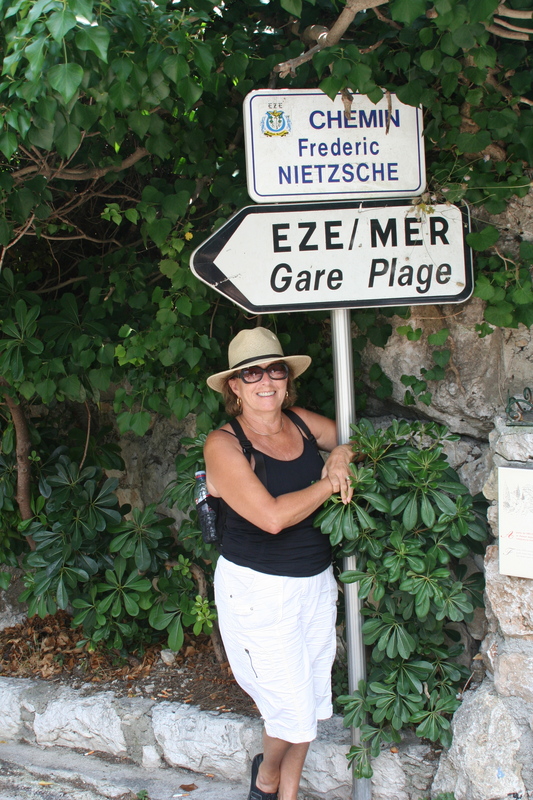 If you ever go, take the train to Eze Bord De Mer and the 83 bus (which only comes by once an hour) to Eze Village. Wear good walking footwear and take the path down. You’ll be very glad you did. The suggested advice when the going gets strenuous on the Nietzsche Trail? Try repeating Zarathustra’s mantra from his own sojourn through the mountains: “You are treading your path of greatness: no one shall steal after you here.” Or take along good friends and laugh your way down. If you have favourite places you like to hike, I would love to hear about them. The Bruce Trail? The Appalachian Trail? Whistler? Yosemite? Cotswold Way? Your own neighbourhood? Tread your own path of greatness no matter where you are or what you are doing. Onward! Ooops – it is Friday and I haven’t written a post. 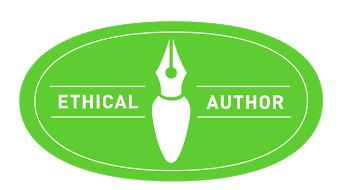 I’ve written tweets, Facebook messages, e-mails, information and bio as requested by another website, and 3000 words on my manuscript (I was on a roll!) but I haven’t written my Friday post. I made a commitment to write something about my four-month stay in the south of France every Friday and I intend to stick to that. I’m taking a blogging course that the awesome Kristen Lamb is running so I’ve had to make some firm decisions about my blog and better stick to them … or else! She’s made that very clear! So this Friday, I’ll tell you a bit more about my temporary home in Antibes on the beautiful Cote D’Azur (French Riviera) and also encourage you to follow your dreams and make them come true. There are definitely benefits to getting older and being retired and being able to run away for a few months is one of them. No question, in these tough economic times, it requires saving and planning. But I’m here to tell you it can be done. More about that another time. In the meantime if you have any questions, fire away. Antibes-Juan Les Pins, as it is officially known is about half-way between Nice and Cannes. Fast and efficient bus or train service takes us to both and all sorts of beautiful places in between. 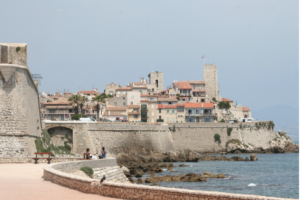 But for today, it’s just about Antibes. Given the chance I could go on ad nauseum. Don’t worry, I’m going to brief and show you some of what I see when my camera and I go for our morning walk. The recorded history of the town goes back 2400 years beginning with the Greeks who were followed by the Romans. 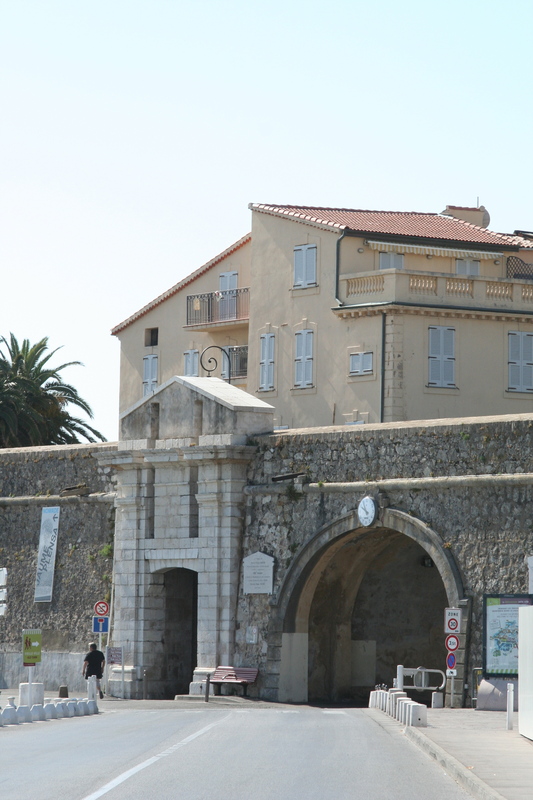 There is an impressive collection of artifacts and ruins in the town and at the excellent Musée Archéologique D’Antibes. Some of this history can also be seen here and there throughout the village. 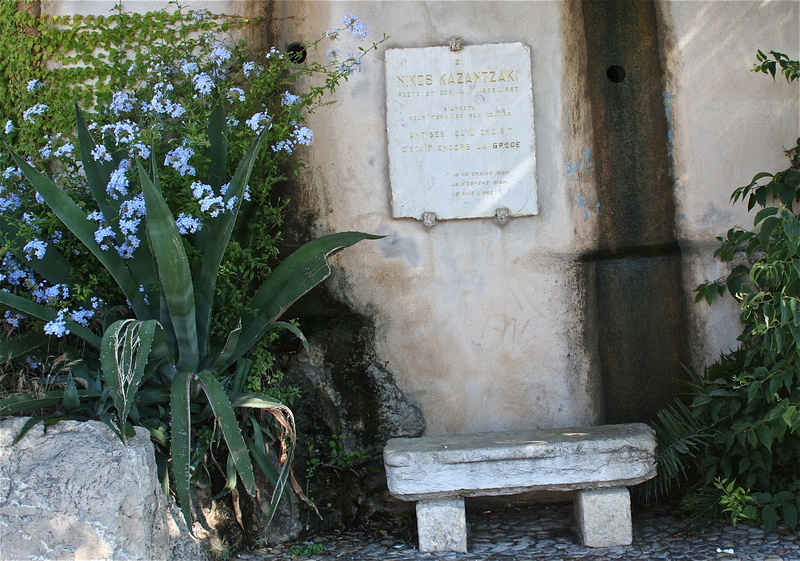 For example, the column in the middle of this fountain dates from Roman times between the first and third century A.D. I think it’s cool that this piece of history is still very much a part of the everyday life of the town. 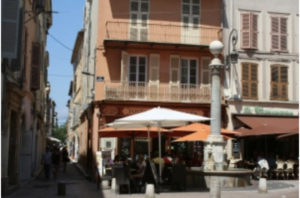 There are cafes in the square all around the fountain and the street is one that leads to the daily provençal market. I realize it doesn’t exactly compare to the Forum in Rome or other places that have extensive ruins but somehow it’s a small detail that adds charm to this and many other small towns throughout the country. The ancient communal washing area is still a gathering place for special activities. Water troughs and fountains hundreds of years old continue to be used. Dotted throughout the village, one can refill a water bottle during a stroll on a hot day as the quality of the drinking water is excellent. 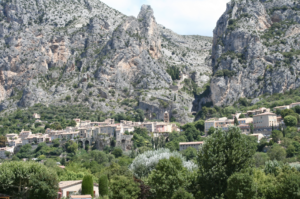 Cagnes-Sur-Mer is ten-minutes west of Nice and easy to reach by the coastal train. 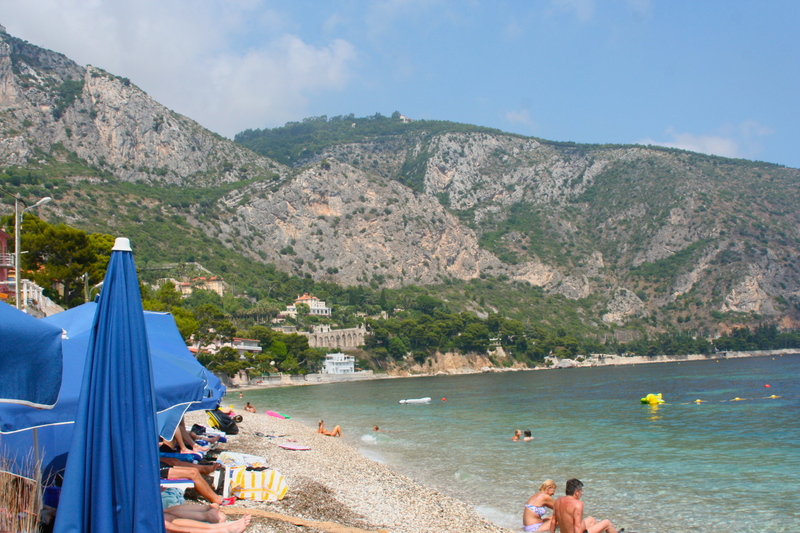 Choose to spend time at one of many pebble beaches or take the shuttle to Haut-de-Cagnes. Stroll the narrow streets of the medieval village where you will find great restaurants and the 13th Century Grimaldi Castle. 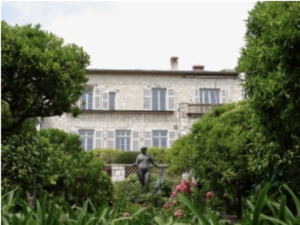 Plan to visit the beautiful domaine “Les Collettes” , the Musée Renoir, where Pierre-Auguste Renoir, one of the founders of Impressionism, sculpted and painted for the last 11 years of his life. Visitors during that time included Albert André, Rodin, Bonnard, Matisse and Modigliani to name just some. It was here that Renoir started sculpting with Richard Guino and later Louis Morel.The home and grounds have been authentically restored and visiting his studio, with his wheelchair, easel and brushes as he might have left them, is very touching. The view of Haute-De-Cagnes from the house and olive groves is simply beautiful and visiting artists are often seen throughout the property capturing their own masterpieces. You also suddenly come upon this view driving the A8 west of Nice and it’s quite stunning! A return trip to Grasse (click on the name to visit the website) was on the agenda last Wednesday only this time we took the bus from the Grasse train station instead of the 200 steps up to the old town in Centre Ville. (Not to mention the inclines often found between the sets of steps!) I found the steps fun to do last time but my husband’s back did not agree! The more time we spend in this intriguing town, the more surprises we discover. Known as the perfume capital of the world since the 1500’s when the Italian glove makers in the area (this part of France was more connected politically to Italy for many centuries) began to add scents to the gloves, the perfume industry dominates the economy and supplies essences to manufacturers everywhere. At 300m above the Cote D’Azur, the open fields in the surrounding countryside offered the perfect environment for the profusion of fragrant flowers, many developed from seeds brought back from the Crusades. 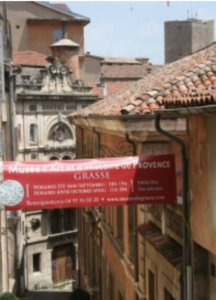 The excellent Museum of Provençal Art and History is housed in an Italianate Villa built for Jean-Paul Clapier Marquis de Cabris who married Louise de Riqueti daughter of the Marquis de Mirabeau. When the couple were required to live with the Dowager Marquisese, Jean-Paul soon fell out with his mother. He proceeded to have his own house built in a way that entirely blocked her previously magnificent view. 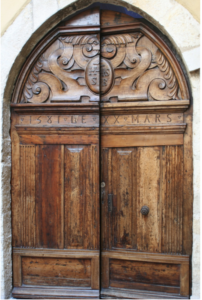 If you visit, note the Gorgons Head depicting vomiting vipers above the front door which reportedly was placed so it would be directly in the line of sight of the old lady. The French have a reputation for dealing with grudges in inventive and long lasting ways. There are several perfume museums in the town that are surprisingly interesting to visit as well. The Cathedral Notre-Dame Du Puy,dates from the 11th Century and was extended in the 17th. Its bell tower dominates the skyline. The interior is stunning from the enormous, rough-hewn pillars to the three magnificent paintings by Rubens as well as the only religious painting known to be done by Jean Honoré Fragonard, born in Grasse in 1732. Our week ended on a slightly different cultural note to the above trips. 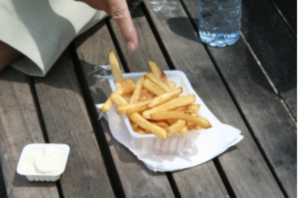 Through the last fifteen years, all of our trips to France have included more research into our quest for the perfect “frites”. Several years ago we spent some time in the beautiful Italian-influenced town of Menton right next to the border with Italy. Just off the main pedestrian way, at the foot of the old town, we discovered the best frites we have ever experienced in the, excusez-moi, unlikely-named “Frites City”. Seriously, we returned several times during our stay there. We hopped on the train and spent last Saturday afternoon in Menton and our first stop was to see if the establishment still existed. It does. The frites continue to be spectacular (the secret is the oil, the owner insists, not to mention the fact that the potatoes are freshly cut right then and there) and we had them for lunch … with a side of French mayonnaise. Magnifique, if not exactly the wisest food choice but we all need to break out every now and then! Before or after your frites indulgence, visit the very personal Jean Cocteau Gallery in the 12thC Bastion at the old port. A new museum to house more of his works and those of others from the collection of Severin Wunderman is under construction just across from this which promises to be quite spectacular. As I share my travels with you, I would love to hear about yours. Where are your favourite places to visit? Some, I know, are in your own back yard. You can leave a comment below or on Facebook and I look forward to hearing from you! 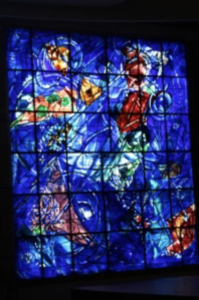 Chagall in the a.m./moules-frites in the p.m.
It’s an easy walk from the main train station in Nice (Gare SNCF Nice-Ville) to the Musee Chagall (also known as Le Musée National du Message Biblique Marc Chagall) with just a slight uphill section before you arrive. Honest, it’s not like Grasse where we had to climb 200 stairs to reach the old town … but that’s another story and we could have taken a shuttle so I’m not complaining. The artist Marc Chagall lived in France for most of his life and in the south of France for the latter half. 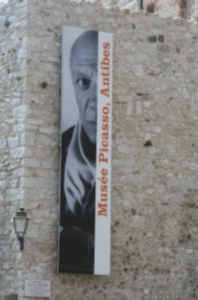 He died in Saint-Paul de Vence, just north of Nice, in 1985 at the age of 97. He is buried in the beautiful village cemetery. 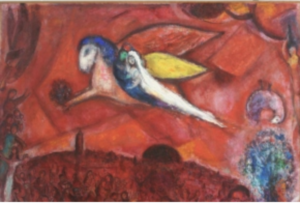 If you haven’t been to see this breathtaking Chagall collection, please put it on your list. You won’t be disappointed. The ambiance of the exhibition areas is calm with superb lighting and opportunities to sit in order to appreciate the beauty of his work. The audioguide is excellent. A small outdoor cafe set amid olive trees and mounds of lavender serves superb coffee and light local fare. Like everything else you may visit the museum online to whet your appetite. and were excited about finally going to a restaurant we have had on our list for years. Typical of us, we hadn’t checked first and it was … yup, you guessed it … closed on Wednesdays! It never fails. But I always say these things happen for a reason. 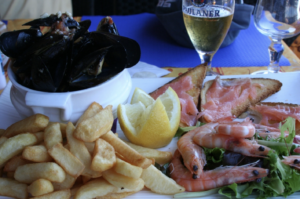 We walked down a block to sit right by the moorings in one of several old portside restaurants and had some of the best moules-frites ever. They were in a simple sauce of olive oil, LOTS of garlic and sauteed tomatoes. On the side, to dip in the sauce once the mussels were enjoyed to the very last one, were simple boiled shrimp to just peel and dip. 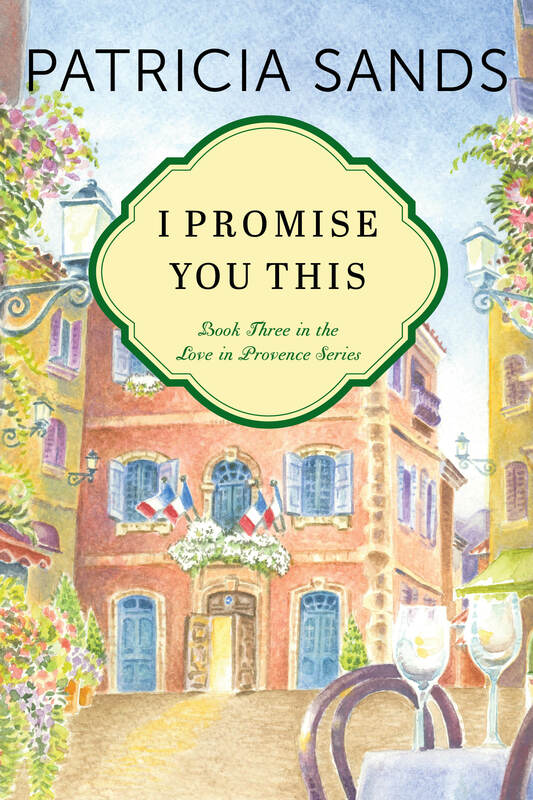 Please join me in the south of France for the summer! 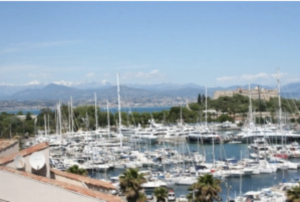 My husband and I have rented an apartment in Antibes between Nice and Cannes. We have visited this area on several vacations and fell in love with the beauty, the history, the culture, the people, the weather … I could go on but you will see what I mean … and besides that, I LOVE to speak French! I think I must have been born here in another life! The two most important criteria we wanted for our accommodation were location and view and we have both to perfection. In fact, there really is no need for a car as we can get to so many places all along the Riviera and even into Italy from the train station just down the street. 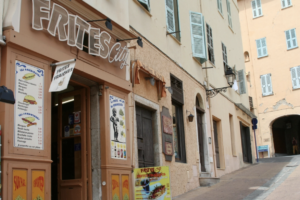 The town of Antibes is more like a village and one walks everywhere. There’s a car rental agency around the corner from us if we want to go further afield from time to time. As you know, photography is a passion of mine so my beloved Canon Rebel XT has been steaming. I’ll get some photos organized and share them here in the next week or so. We’ve spent the past few weeks getting settled here and also having visits from some good friends, which we’ve spent exploring and discovering. 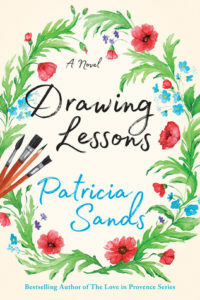 I’ll share some of those discoveries as well – beautiful perched villages, switchback roads that open onto stunning vistas, talented artists and traditional artisans, fabulous coastal towns and beaches, architecture that takes your breath away from the very simple to the sumptuous, and restaurants … oo la la, the restaurants. What does this have to do with my writing? Well I’ve been working on my next novel and when I knew we were coming to this part of the world for an extended time, my storyline moved over here too. I’m busy making notes and plotting and hopefully will have something close to a finished product by the time we leave. It’s easy to be motivated here as the ghosts of artists come to you in the narrow streets lined with shuttered houses, many hundreds of years old. Writers as early back as 1500 BC left their work in caves in the area. In the last few centuries a long list of influential writers found inspiration here including Dickens, Louisa May Alcott, DeMaupassant, Edith Wharton, Somerset Maugham, Graham Green, James Joyce, Nabakov, Gertrude Stein, Hemingway, Fitzgerald, Pound, Sylvia Plath and the list goes on. Van Gogh, Monet, Matisse, Renoir, Chagall, Picasso, Bracque, Miro are just a few of another equally long list of painters and sculptors who found the special light and air of the south of France irresistible. 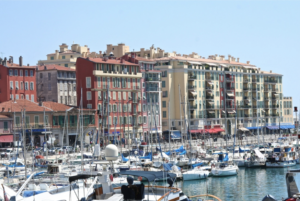 The musical history of the area, particularly during the Jazz Age, is also impressive and we are excited to be here for the Jazz Festival of Nice in early July, followed by the 51st anniversary of Jazz A Juan in next-door Juan-Les-Pins. More on those later. If spending an extended time in a different part of the world is something that appeals to you, talk to me about it. We are experienced home exchangers and renters and I have lots of good tips. I’m happy to say we have never had a bad experience. There’s a small fish market on the pier at the end of our street so I’m off to consider our dinner menu and shoot some more photos of the local fishermen cleaning their nets.